Just lately, as more premium and performance-grade laptops are being equipped with a Thunderbolt 3 connection, the external graphics modules, also known as graphics docks or graphics docking stations, are starting to trickle out on to the market as a performance-boosting accessory for these computers. Integrated graphics chipset (Acer Graphics Dock) – devices of this class have a hardwired graphics chipset similar to what is implemented in an all-in-one or small-form-factor computer. Card cage (Razer Core, Akitio Node) – These devices are simply a housing where you can install a PCI-Express desktop graphics card of your choice. They have a power supply and interface circuitry to present the desktop graphics card to the host computer via a Thunderbolt 3 connection. All these devices will have their own video outputs but will yield what the high-performance graphics chipset provides through the host computer’s integral screen, the video outputs integrated with the host computer as well as their own video outputs. This is in contrast to what used to happen with desktop computers where the video outputs associated with the integrated graphics chipset became useless when you installed a graphics card in these computers. 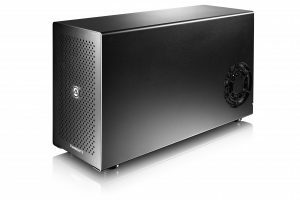 I have read a few early reviews for the first generation of graphics modules and Thunderbolt-3 laptops. 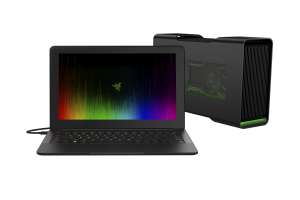 One of these was Acer’s integrated graphics module kitted out with a NVIDIA GTX960M GPU, known to be a modest desktop performer but its mobile equivalent is considered top-shelf for laptop applications. This was ran alongside an Acer TravelMate P658 and an Acer Aspire Switch 12S, with it providing as best as the graphics would allow but highlighting where the weakness was, which was the mobile-optimised Intel Core M processors in the Switch 12S convertible. Another example was a manufacturer’s blog post about using their “card-cage” graphics dock with one of the Intel Skull Canyon “Next Unit Of Computing” midget computers which was equipped with the Thunderbolt 3 connection. This showed how the computer increased in graphics performance once teamed with the different graphics cards installed in that “card-cage” module. It opened up the idea of using an “AV system” approach for enhancing small-form-factor and integrated computers. This is where you connect extra modules to these computers to increase their performance just like you would connect a better CD player or turntable or substitute an existing amplifier for something more powerful or plug in some better speakers if you wanted to improve your hi-fi system’s sound quality. 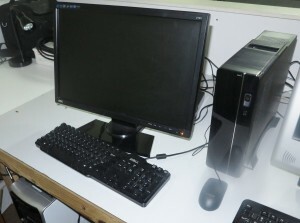 This usage case would earn its keep with an “all-in-one” computer which has the integrated monitor, the aforementioned “Next Unit Of Computing” midget computers or simply a low-profile desktop computer that wouldn’t accommodate high-performance graphics cards. What I had come across from the material I had read was that as long as the host computer had the latest version of the operating system, the latest BIOS and other firmware to support graphics via Thunderbolt 3, and the latest drivers to support this functionality then it can perform at its best. As well, the weakest link can affect the overall performance of the system, which can apply to various mobile system-on-chip chipsets tuned primarily to run cool and allow for a slim lightweight computer that can run on its own batteries for a long time. At the moment, this product class is still not mature and there will be issues with compatibility and performance with the various computers and external graphics modules. As well, not all graphics cards will work with every “card-cage” graphics module. This can be due to high-end desktop graphics cards drawing more current than the graphics module can supply, something that can be of concern with lower-end modules that have weaker power supplies, or software issues associated with cards that aren’t from the popular NVIDIA or AMD games-focused lineups. You may have to check with the graphics module’s vendor or the graphics card’s vendor for newer software or firmware to be assured of this compatibility. A situation that may have to be investigated as more of these products arrive is the concurrent use of multiple graphics processors in the same computer system no matter the interface or vendor. The ability to daisy-chain 6 Thunderbolt-3 devices on the same Thunderbolt-3 connection, along with premium desktop motherboards sporting this kind of connection along with their PCI-Express expansion slots, will make the concept become attractive and easy to implement. Similarly, some vendors could start offering Thunderbolt-3 expansion cards that plug in to existing motherboards’ PCI-Express expansion slots to give existing desktop PCs this functionality. Here, the goal would be to allow multiple GPUs from different vendors to work together to increase graphics performance for high-end games or multimedia-production tasks like video transcoding or rendering of video or animation projects. Or it could be about improving the performance and efficiency of a multiple-display setup by allocating particular graphics processors to particular displays, something that would benefit larger setups with many screens and, in some cases, different resolutions. A usage class that was always put forward for these external graphics modules was the teenage games enthusiast who is studying at senior secondary school and is ready to study at university. Here, the usage case underscored the situation where they could be living in student accommodation like a college dorm / residence hall or be living in a share-house with other students. The application focuses on the use of a laptop computer that can be taken around the campus but be connected to one of these modules when the student is at their home. I would add to this the ability to carry the graphics module between their room and the main lounge area in their home so that they could play their games on the bigger TV screen in that area. 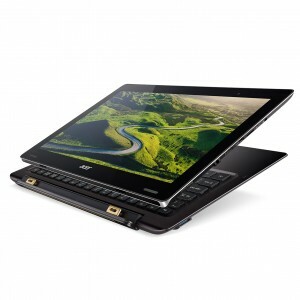 This is due to the device being relatively compact and lightweight compared to most desktop computers. That same application can cover people who are living in accommodation associated with their job and this is likely to change frequently as they answer different work placements. An example of this would be people whose work is frequently away from home for significant amounts of time like those who work on ships, oil rigs or mines. Here, some of these workers may be using their laptop that they use as part of their work during their shift where applicable such as on a ship’s bridge, but use it as a personal entertainment machine in their cabin or the mess room while they are off-shift. Once the external graphics modules mature as a device class, they could end up moving towards two or three classes of device. One of these would be the integrated modules with graphics chipsets considered modest for desktop use but premium for laptop use. The expansion abilities that these may offer could be in the form of a few extra USB connections, an SD card reader and / or a higher-grade sound module. Perhaps, they may come with an optical drive of some sort. Some manufacturers may offer integrated modules with higher-performance graphics chipsets along with more connections for those of us who want to pay a premium for extra performance and connectivity. These would be pitched towards people who want that bit more “pep” out of their highly-portable or compact computer that has integrated graphics. Similarly, it could be feasible to offer larger-screen monitors which have discrete graphics chipsets integrated in them. They could also have the extra USB connections and / or secondary storage options, courting those users who are thinking of a primary workspace for their portable computer while desiring higher-performance graphics. The card-cage variants could open up a class of device that has room for one or two graphics cards and, perhaps, sound cards or functionality-expansion cards. In some cases, this class of device could also offer connectivity and installation options for user-installable storage devices, along with extra sockets for other peripherals. This class of device could, again, appeal to those of us who want more out of the highly-compact computer they started with or that high-performance laptop rather than using a traditional desktop computer for high-performance computing. 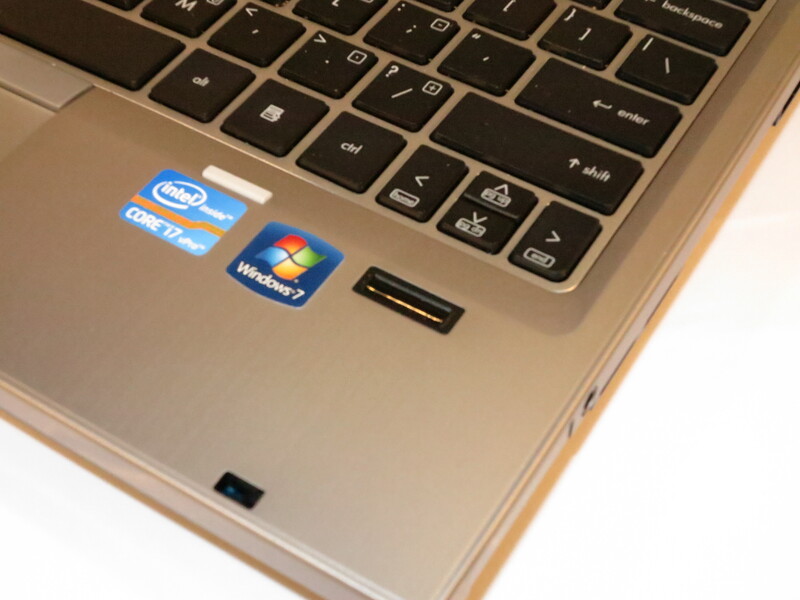 Manufacturers could offer laptops, all-in-one and other highly-compact or highly-portable computers that are part of matched-equipment packages where they offer one or more external graphics modules as a deal-maker option or as part of the package. These could differ by graphics chipset and by functionality such as external-equipment connectivity or integrated fixed or removable storage options. This is in a similar vein to what has happened in the hi-fi trade since the 1970s where manufacturers were offering matched-equipment packages from their lineup of hi-fi components. Here they were able to allow, for example, multiple packages to have the same tape deck, turntable or CD player while each of the package was differentiated with increasingly-powerful amplifiers or receivers driving speakers that had differing levels of audio performance and cabinet size. It still was feasible to offer better and more capable source components with the more expensive packages or allow such devices to be offered as a way to make the perfect deal. Expect that as more computers equipped with the Thunderbolt 3 over USB-C connection come on the market the external graphics module will become a simplified method of improving these computers’ graphic performance. It will be seen as a way for allowing highly-compact or highly-portable computers to benefit from high-performance graphics at some point in their life, something that this class of computer wouldn’t be able to normally do. Those of you who had purchased a business laptop equipped with a fingerprint reader may find that this feature doesn’t work with Windows 10. The situation can be very difficult if you had participated in the Windows 10 free-upgrade program that happened from 2015 to 2016 and you may have foregone the use of this security feature after that upgrade. Use the Windows 10 Add/Remove Programs option to remove the fingerprint-reader software that the manufacturer supplied with your laptop computer. It may also mean that you have to remove the password vault program that came with your laptop computer and you were using to keep your Website passwords with. 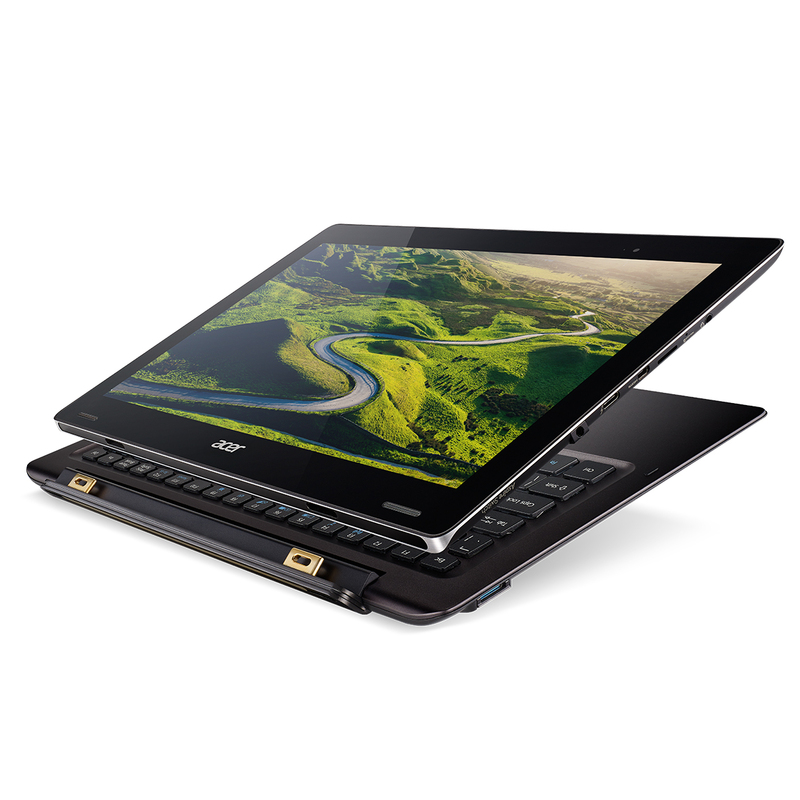 The reality is that some of the business laptops came with software installations where a third-party fingerprint-management program was part of the package. 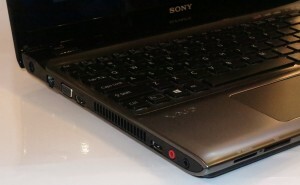 This may be due to the fingerprint reader not having driver software that could work directly with Windows at the time the machine was released or the program offering more “enterprise-friendly” features than what Windows and a baseline password vault could offer for the business laptop’s user class. If you still value the feature set provided by the fingerprint-management program or depend on its compatibility with certain other management software, it may be a good idea to look for and download the latest versions of that software. You would then have to update your fingerprint reader’s driver software to the latest version that can work with Windows 10. This is because the newer driver software takes advantage of the application programming interfaces associated with Windows 10’s Hello authentication mechanism. Some laptops may require you to update their software relating to their BIOS / firmware and chipset before you progress any further. This is a process you would have to do from your laptop manufacturer’s support Website. One way would be to open Device Manager in Windows 10 and identify then select the fingerprint reader’s entry in the device list. This will be listed under the Biometric Devices class of devices. Right-click that device and choose “Properties”. Click the “Driver” tab and select the “Update Driver” option to make sure it is up-to-date. Or you could visit your laptop manufacturer’s support Website and download the latest version of the fingerprint reader’s driver software. Then you install that software, whereupon you may have to reboot your computer as part on the install process. 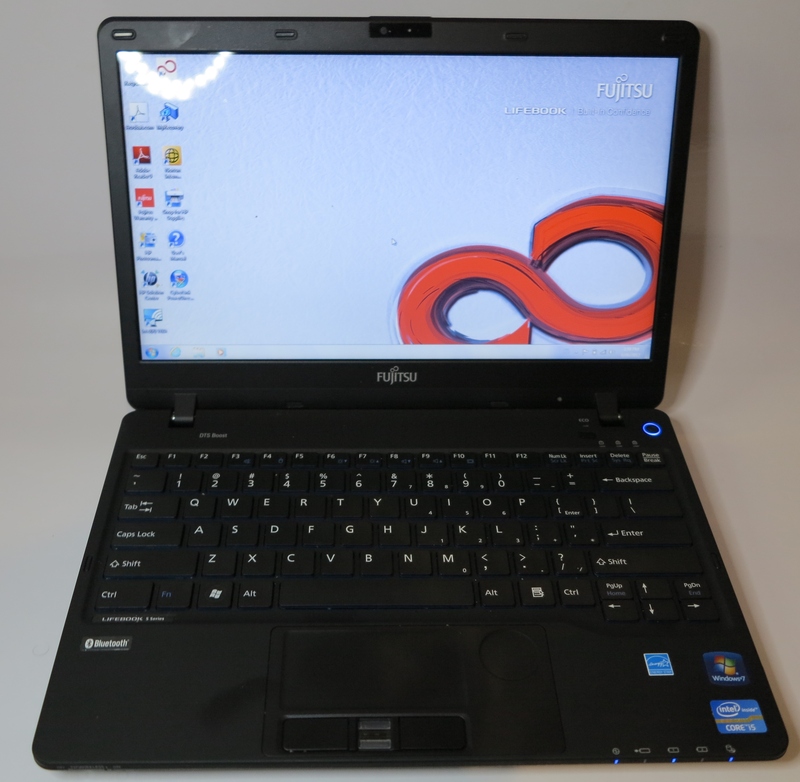 Sometimes a particular laptop manufacturer may not have the updated driver for the fingerprint reader that is integrated in to their business laptop. Here, you may have to do a Google search for details regarding the make and model of your business laptop and how to enable that machine’s fingerprint reader in Windows 10. This is because a particular fingerprint-reader subsystem may be used by two or more manufacturers in their product lines during a particular point in time. For example, the Lenovo website hosts the Validity Fingerprint Common Driver for Windows 10 which has been found to support most of the fingerprint scanners integrated in HP business laptops like the Elitebook 2560p. On the other hand, you may find that the latest version of the driver software that they host is the Windows 8.1 version. 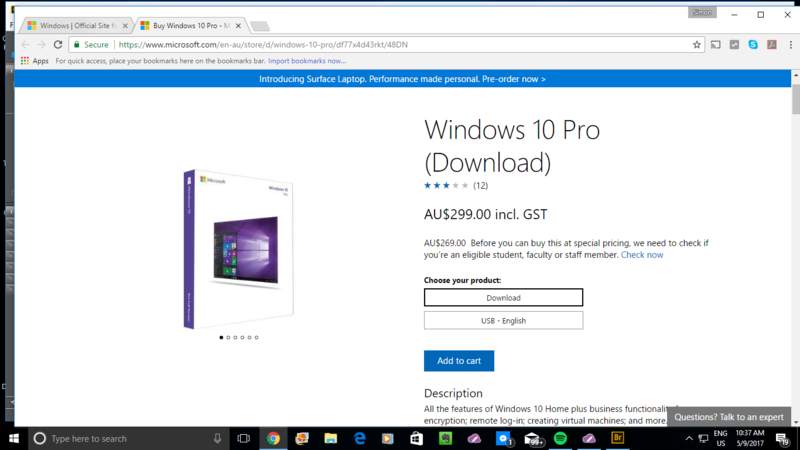 Here, you can get by with this version for your Windows 10 computer thanks to the use of similar APIs. The next step will be to set up for Windows 10 Hello – the authentication framework that Windows 10 uses for advanced authentication methods like biometric authentication. Here, you go to Settings – Account – Sign In Options. Then you will have to create a PIN number, which is what you use when you log in to your machine. If you log in to Windows using your Microsoft Account credentials, you will need to create a PIN number, which will become a machine-specific alternative credential. There will be an option to sign in with your fingerprint which will be enabled thanks to the newer drivers that you installed. Click on that button to sign in with the previously-mentioned PIN if you have created that or to create a new PIN number, before you enrol your fingerprints as your sign-in credentials. If you still want to “swipe in” to your favourite Websites with your finger, you would need to acquire the latest version of the password manager that came with your computer like HP SimplePass, Softex OmniPass or a similarly-competent password vault that uses fingerprint recognition out of the box. What this means now is that you don’t have to see the fingerprint scanner on your business laptop computer as being redundant just because you have upgraded your computer to Windows 10. When people talk of the hardware issues concerning the Internet Of Things, a technology that is being constantly forgotten about is the SDIO expansion connection. 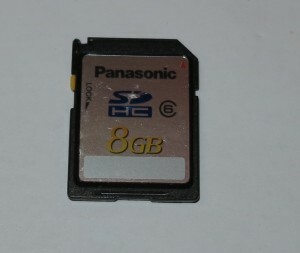 This is a special SD card slot that also serves as an expansion interface in a similar vein to the PCI Express, miniPCI or ExpressCard slots used on desktop and laptop computers and, in a similar way, the USB port on most computing equipment. There are improved variants based on the iSDIO specification that take the load off the host device and allow it to work at its best. It does have validity as an expansion interface for low-profile devices due to the size of the standard SD slot and it is then feasible to design add-on peripherals that extend slightly larger than the standard SD card. But the SDIO technology is sadly being forgotten about as a low-profile expansion interface for many different computing-device applications including the Internet Of Things. This is more so if the goal is to either sell a device at a lower cost with reduced functionality but allow the user to add functionality as they see fit and when they can afford it, or to make a device be “futureproof” and satisfy new requirements. Where I see SDIO being of value is with wireless network interface cards that add network or other connectivity to a device. This can be performed at the time of the device’s purchase or later on in the device’s lifespan through the user retrofitting a separately-purchased SDIO card in to the device. An SDIO expansion module wouldn’t take up much room inside the device and can lead to a highly-integrated look for that device. It would appeal to a self-install application where the appliance has a user-accessible compartment like a battery compartment or terminal cover and the user opens this compartment to install the SDIO expansion module. Even a professional-install application can benefit especially if the idea is for a technician to install a highly-comprehensive “upgrade kit” or “functionality kit” in to a major appliance – a circuit board that is part of this kit could have one or more SDIO expansion slots. This is compared to a USB setup where you need to deal with a relatively-large puck or dongle which can stick out of the device and not provide that finished look. There is also the issue of keeping a USB port open for local ad-hoc mass-storage or input-output requirements. The issue of being able to add options to an existing device is real when it comes to the “durable” class of devices which are expected to have a very long service life as is expected for most devices targeted at business users or for so-called “white-goods” which are expected to run for at least 7 years, if not 10 years. Here, the ability to add extra functionality to these devices through their lifetime to suit newer needs is important as a way to get the most out of their lifecycle. SDIO could benefit digital photography by allowing the user to add a Wi-Fi or Bluetooth SDIO card to a high-end digital camera or camcorder. A similar SDIO slot could be integrated in to a Speedlite flash or advanced LED movie light to allow for remote lighting and camera control courtesy of a Wi-Fi or Bluetooth link. The concept of camera control from a lighting device would appeal to some photographers who have the camera on the tripod with its shutter locked open and take the flash around different angles to illuminate the subject – the wireless link could also serve to remotely control the camera by using a shutter-control button on the flashgun.. This could lead to remote control of the camera using a mobile device with that device’s screen also working as a viewfinder. In the case of video recording, the camera could also share SMPTE timecode data with an audio recorder and, perhaps, another camera to work well with multi-camera or advanced “sound-off-camera” recording setups. For sharing the finished product, Wi-Fi and Bluetooth cam play their part in this role with the ability to support file transfer to a computer or mobile device. A Wi-Fi setup may also allow the camera to exploit DLNA or Miracast setups to allow one to show the pictures on to a large TV screen. In some cases, a camera may have integrated support for file-share, photo-share or social-network functionality thus using the Wi-Fi or Bluetooth technology simply to upload the pictures or footage. These devices, especially the “smart locks” that are starting to appear on the market, could benefit from the SDIO technology. For example, Assa Abloy offers a tubular deadbolt under the Yale and Lockwood brands which supports a “dual-mode” entry system where you can either enter a user code on a touchpad or use the regular key to open it. This deadbolt also has support for a “home automation” network module based on either Zigbee or Z-Wave technology, something that can be achieved by the user sliding that module in to the inside unit to integrate this deadbolt with a home-automation system. Here, an SDIO slot in the interior unit in these locks can offer this kind of extended functionality. For example, a Bluetooth LE (Bluetooth Smart) SDIO card could make these locks work with platform-based smartphones or a Wi-Fi, Zigbee or Z-Wave SDIO card could integrate them with cloud-based monitoring and management services. Similarly, this could come in handy with other usage classes like hotels.where, for example, Bluetooth could allow the card-based door lock to become part of the device ecosystem in the guest room. Here, this could be used to reset heating, alarm times, etc to a default setting when a new guest enters the room or implement Bluetooth Beacon technology to add value to conference settings. The premium “embroidery” sewing machines could implement an SDIO slot in order to allow the user to add Wi-Fi or Bluetooth functionality to these units. This would come in handy with firmware updates or to allow the user to upload patterns and OpenType fonts to these machines for use with particular embroidery and monogramming projects. This latter application comes in to its own as the manufacturers supply “CAD” software with these machines so that people can create their own unique embroidery designs for their special projects. Here, the SDIO cards could work as a way to network-enable these machines to work with the computer software and the home network. Companies who sell advanced household appliances and HVAC equipment could use SDIO to add some form of network connectivity after the appliance is installed. Here, the user can be encouraged to see these appliances, which have a service life of at least 7 years if not more, as being future-proof and able to answer current needs and expectations. This is more so as these appliances move towards “app-cessory” operation where extra functionality is added to these devices courtesy of mobile-platform apps. Similarly, some manufacturers implement this kind of technology to communicate operating information to other appliances. An example of this is some GE washing machines and clothes dryers recently sold to the US market use a wireless link to transmit information about the load just washed to the dryer so that an optimum drying cycle for that load can be determined by that appliance. This could benefit people who buy mid-tier appliances that are enabled for this kind of connectivity but purchase the SDIO modules and install these modules in the appliances themselves as they see fit. The SDIO expansion standard can be valued as a option for adding connectivity to the Internet Of Things, whether at the point of purchase or at a later date. 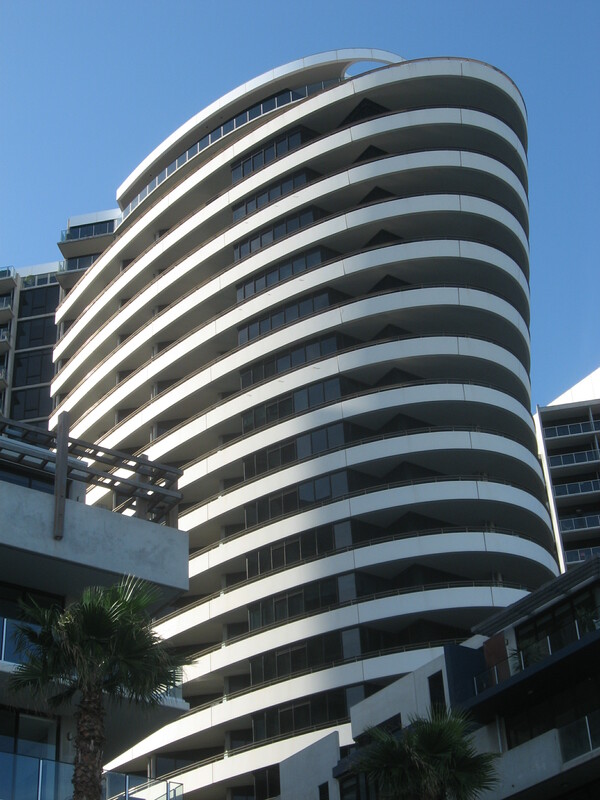 It also preserves a highly-integrated fit and finish for the application before and after the upgrade. 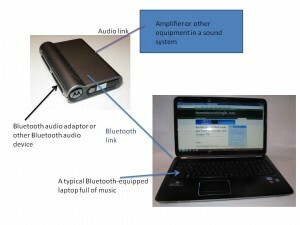 There is an increasing number of Bluetooth-connected wireless audio devices available for use with smartphones and similar devices. But you may want to use these headsets, audio adaptors, Bluetooth speakers or Bluetooth-integrated audio devices with your laptop instead of those tiny speakers that are the norm for these computers. The best example for the speakers would be the Bose SoundDock speakers, especially the SoundDock 10, due to its good bass response, when used with the Bluetooth adaptor. As well, I ran a test setup with the Motorola DC800 Bluetooth adaptor connected to an older Sony boombox and had the review-sample Fujitsu LH772 laptop being fed through this Bluetooth adaptor. 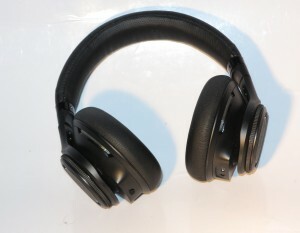 Similarly, there are those of us who may want to use a Bluetooth headset like the Plantronics BackBeat Pro with a laptop computer so you can roam around the office or home listening to your favourite tunes or podcast or as a contingency measure to avoid missing that important VoIP call. You can achieve these setups with Bluetooth-equipped laptops that run Windows 7, MacOS X Snow Leopard and Linux and newer versions of these operating systems. This is due to the supply of a class driver for the Bluetooth A2DP audio profile and Hands Free Profile as part of the operating system distributions. 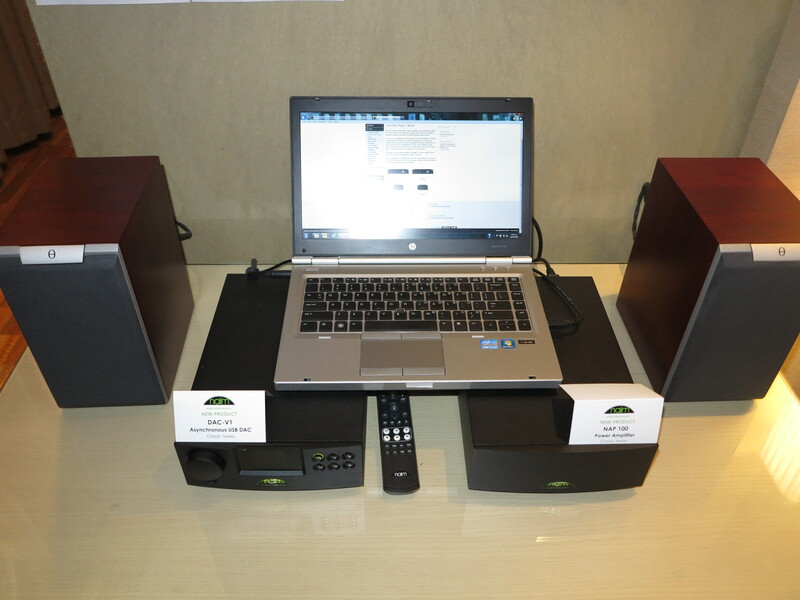 First, you have to set up the Bluetooth A2DP-capable audio device to become discoverable. The method for this is explained in the instructions that come with the device but you typically may have to hold down a setup button to achieve this goal. 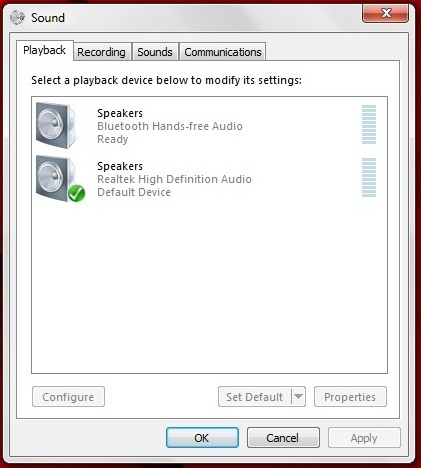 Then you have to put the computer in to a “Bluetooth setup” mode in order to annex the device to the operating system. In WIndows 7, you would have to click on “Devices and Printers”, then click “Add Device”. After you complete these procedures, both the device and the computer start to pair up and identify themselves to each other. 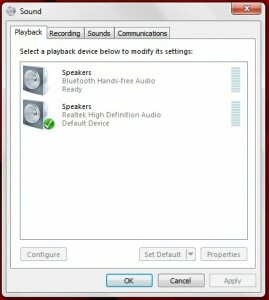 The computer would then find and install the A2DP audio-device class drivers that are part of the operating system. In some cases, the class driver may be fetched from Microsoft’s or Apple’s Website. The same thing will also happen with the Bluetooth Hands-Free Profile or Bluetooth Headset Profile when you initially connect a Bluetooth headset, headphone audio adaptor or other device equipped for communications functionality. Now the Bluetooth audio device is defined as a sound device and some Windows setups may have it run as the default audio device for all of the laptop’s sound output. But you may want to have a split setup so that music and video sound go to the Bluetooth speakers and all of the notification sounds come via the laptop speakers. Here, you would have to set the integrated sound subsystem as the default audio device. Then you would have to set iTunes, Windows Media Player or other media-management software to use the Bluetooth A2DP audio device. 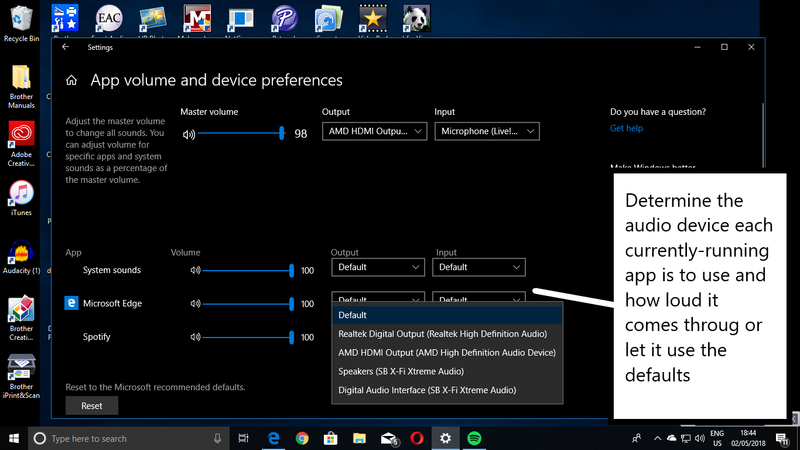 This latter setup may not work well with software like games, the Spotify desktop program or Web browsers where there isn’t an option to specify the sound output device for that application. Here, you would have to specify the Bluetooth audio device as your default audio device to have the soundtrack from video on demand including YouTube videos, or your Spotify playlist coming through that device. Bluetooth headsets and speakers with speakerphone functionality will cause Windows to purpose the Bluetooth Hands-Free Profile or Headset Profile as a Communications Device and may cause Windows 7 to determine it as a Default Communications Device. 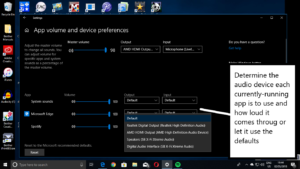 Windows 10 has improved on this problem by allowing you to use the operating system’s user interface to determine which audio output device a program uses. But if you are using a Web browser, the same audio device will be used for all sessions of that browser, whether they appear as separate tabs or separate windows. In this situation, you would have to have the audio output device associated with your laptop’s inbuilt speakers as the default audio device while you set Spotify or a similar multimedia program to play through the Bluetooth device. This is available for the Windows 10 April Update (Build 1803) available since May 2018 and newer versions of that operating system. The controls on these Bluetooth devices should map through to the applications’ controls courtesy of operating system support for Bluetooth AVRCP control profile for media navigation and the call-control functionality of the Hands-Free and Headset Profiles. This will apply to applications that currently have the focus for media playback or communications. An increasing number of communications-capable Bluetooth devices have support for “multipoint” operation where they can work with two different source devices. This function is typically to support people who use two mobile phones such as a “personal” one and a “work” one. As I discovered when reviewing the Sony SBH-52 Bluetooth headphone adaptor, I found that this function can also work with a computer. This can be of use if you are maintaining a playlist or listening to Web content on your laptop. Here, you have to determine which device is your “priority” device which allows the headset to primarily control that device. This is something you would do either through the device’s setup menu, a desktop or mobile control program or a certain keypress sequence depending on the device. But some devices like the JBL E45BT headphones may implement a simplified “priority-device” setup which is dependent on the device that you are currently using rather than you having to determine that role. You may be able to at least use the call-control button to answer and end calls when you are using your secondary device. It is a good idea to set the laptop as the priority device when you are playing content from it or are wanting to use a VoIP app that may come across as being rickety. Once you know what your Bluetooth-capable laptop can do with those Bluetooth audio accessories, you can then let it perform at its best with these devices and they don’t need juhst to be considered for mobile phones anymore. This article is subject to regular updates based on my experience with newer Bluetooth hardware that I have reviewed along with highlighting the Bluetooth Hands-Free Profile used for communications purposes and multipoint operation offered by an increasing number of Bluetooth devices. It will also be updated as desktop operating systems are being refined for Bluetooth-device operation like what has happened with Windows 10’s April Update. 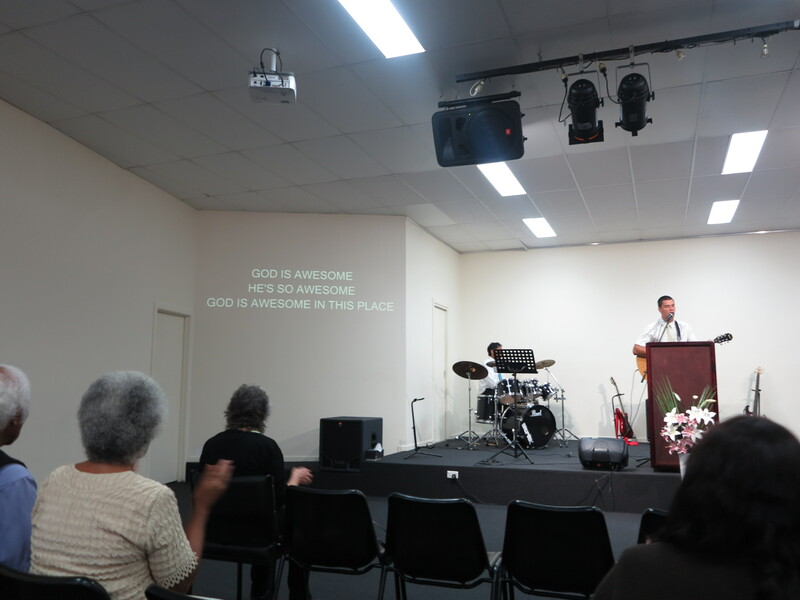 I have been assisting a small church in their purchase of a newer projector for use through their worship services. Here, I have been steering them towards using equipment that uses HDMI connectivity rather than the 15-pin “VGA” cables. But why am I steering them towards this? Increasingly every video peripheral ranging from Blu-Ray players and network-media receivers to cable boxes and digital-TV tuners implements HDMI as a “best-case” connector. If the video peripheral had analogue component video connections, it would come with RCA-based YCC connections as that “best-case” analogue connection. Most of the economy-class data projectors that are in circulation would implement as their best connector an RGB connector in the form of the 15-pin screw-on “VGA” connector that is intended as a baseline connection for computers because a lot of computer monitors use this connection. This is although most computers and monitors are moving towards DVI-D or HDMI connections. 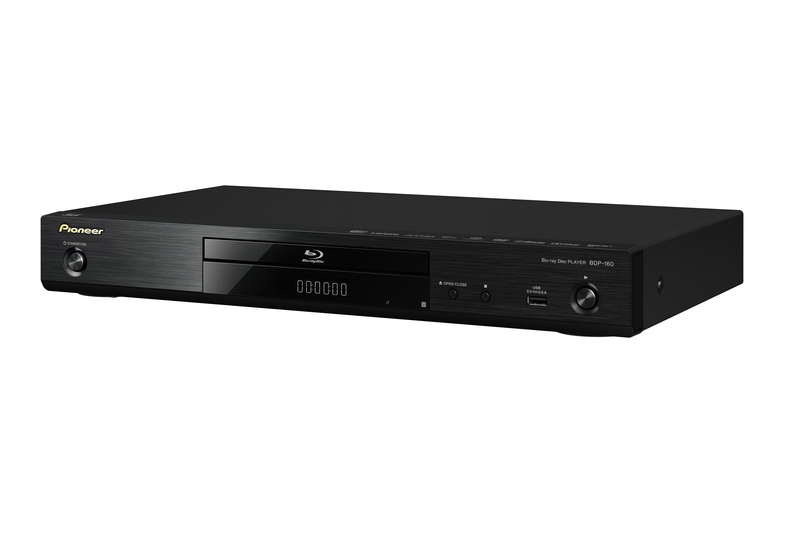 If we are chasing the idea of connecting a laptop for presentations, a Blu-Ray / DVD player for movies or a DVB-T digital-TV tuner for the big news or sports broadcast, we would have to switch between different connection types for the application which can cause a lot of confusion. This is more so with people who haven’t had much experience or can get flustered easily with connecting different AV equipment. One main advantage of an HDMI setup for your video display needs is increased installation flexibility. This is brought on by the audio signal carried in a digital form on the same cable. It is typically to allow the one-cable setup between a video peripheral and a TV with even a surround-sound setup having one cable from the video peripheral to the surround-sound amplifier which can be capable of being a video switcher, then another cable from that surround-sound amplifier going to the TV. HDMI offers a maximum length of 25 feet / 7.62 metres between two pieces of equipment but there are solutions to cover larger installations. For example, you could use a line-powered active HDMI splitter as a repeater for a length up to 30 metres. Some devices in their own right, like HDMI-capable digital-analogue converters or amplifiers can be repeaters. Or you could use a “Category-5” HDMI balun pair along with Category-5 Ethernet cable for a distance of 330 feet / 100.58 metres between the pieces of equipment. In these setups, you are running just one cable which passes along the digital representation of high-resolution images and sound between the source device and the display. In a video-presentation setup where you are using a projector, you will also find that the sound system is located either near the video source device like a computer or near the projector. The device that is handy for these situations is an HDMI audio adaptor, known as an HDMI audio extractor or HDMI digital-analogue converter. 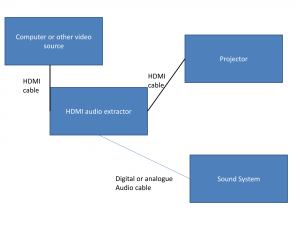 Here, these devices connect the HDMI video source to the audio equipment either via an SP/DIF or AES/EBU digital connection; or a stereo line-level analogue connection and pass the sound signal from the video peripheral to the sound system. There is an HDMI output on these devices to connect the device to the display for the “final leg” of the signal’s journey. Some projectors even have an HDMI audio-adaptor function typically to feed an integrated mono speaker for “quick-setup” arrangements. These will also have a line-out connection in the form of a 3.5mm stereo phone jack so they can be connected to an external sound system that is located up front and can put up a stronger sound. Here, you could locate this device close to the sound system irrespective of where the display device is located and be able to hear good-quality noise-free sound. One main advantage of this is to be able to keep any unbalanced analogue audio connections as short as possible thus reducing the possibility of unwanted noise getting in to the amplifier which can happen easily with longer unbalanced analogue connections. Another point of flexibility is HDMI Audio Return Channel. This is relevant to TVs with integrated tuners, multiple HDMI inputs and/or smart-TV functionality where a digital sound stream is sent back from the TV’s own sources to the amplifier to feed the speakers associated with that amplifier. Here, this also leads to a high-quality sound path between that wall-mounted TV and a more powerful home-theatre setup that is located in a position for easier control. Yet another point of flexibility that HDMI offers is Consumer Electronics Control. This uses the same HDMI cable as a control cable and, as I have observed, has reduced the need to juggle remote controls to operate a Blu-Ray player for example. For example, it allows the TV to “light up” and select the appropriate input when you are loading a disc in the Blu-Ray player. Similarly, you use the TV’s remote to navigate the disc menu and get the movie underway. When used with a projector and computer that supports it, it could be feasible to use the projector’s remote to page through a presentation or start and stop video content, being seen as a presenter’s dream come true. This is implemented mainly on higher-end big-name TVs, and most home-theatre amplifiers pitched to the residential-use market along with nearly all home-theatre video peripherals especially Blu-Ray players. Most manufacturers market this feature under their own marketing names like AnyNet (Samsung) or VIERA Link (Panasonic) but will cast a reference to HDMI-CEC in the device’s operating instructions or setup menu. An increasing number of premium-grade HDIM-equipped projectors pitched for home-theatre use also offer this function. Toshiba implements this function in their latest computers “out-of-the-box” and there is an RCAware add-on black box which allows this to work with other computers. I would recommend that you move your video-display setup towards HDMI as part of your equipment replacement cycle. Make sure your equipment has HDMI when you are purchasing or specifying newer projectors and other display equipment. If possible, prefer that the equipment works at 1080p if you are running a lot of video content as more video is captured or mastered in this resolution. Examples of this include Blu-Ray discs, console and PC games, along with consumer and semi-pro still and video cameras that can record in 1080p. When you improve your playout computer equipment, upgrade the video cards to those that have HDMI outputs or, for portables, use USB DisplayLink adaptors that have HDMI outputs or specify newer equipment with these outputs. This is easy to achieve if you are purchasing current-generation laptop computers as they come with HDMI or DisplayPort connections whether “standard” or of a smaller form-factor. Similarly, current-issue display cards for desktop computers will be expected to have HDMI or DisplayPort connections. In the case of DisplayPort connectors, you would need to use a DisplayPort-HDMI adaptor cable to connect them to HDMI display devices. 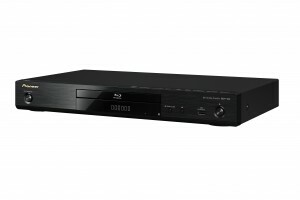 As well, it could be a chance to replace DVD players with Blu-Ray players because these have the HDMI output and can show high-resolution video that the connection is known for. Similarly, digital-TV tuners and set-top boxes that you use to receive broadcast TV in your installation should have HDMI connections. If you are wanting to show legacy sources like VHS tapes through your video system, a composite-HDMI adaptor may come in handy. These devices convert the analogue signals from the legacy source such as the video recorder to a digital signal and even upscale them to a higher resolution before passing them along an HDMI cable. When you revise the installation, make sure you are pulling HDMI cable or, if you use Cat5 or Cat6 cable for the extended cable runs, replace the baluns that you use with other technologies like VGA with those that work with HDMI. As well, the equipment should be connected via HDMI cables. For that matter, the HDMI baluns can be purchased from dedicated electronics stores like Radio Parts, Jaycar or Maplin. 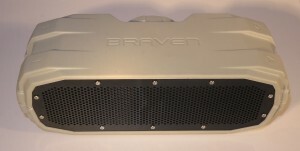 A projector that is equipped with HDMI-CEC could allow for the use of the remote control as a control surface for connected video peripherals. It can also allow a computer, for example, to cause the projector to be switched on and off as needed. The command set for HDMI-CEC could be extended to exchange status details that are of concern to projector operation like lamp condition and runtime. As computers are being used as playout equipment in the business location, they could benefit from being HDMI-CEC control-target or control-source equipment. This could be facilitated through hardware and software additions that are provided by more computer and display-subsystem manufacturers. The software could support “page-through” on presentation software or use of the D-toggle on the remote as a virtual mouse. Similarly, a playout computer with HDMI-CEC “control-source” functionality can be able to turn on and turn off display or amplification equipment or provide “master volume” control over the system. Moving your small business’s or community organisation’s display technology to HDMI can provide for increased flexibility when managing how this equipment acts when playing video material. It would also become simpler to achieve a “best-quality” setup so that your customers, patrons or congregation can see sharper images on the screen. This article talked about implementing a 3G / Wi-Fi network in a Sydney transit bus to facilitate the Opal “touch-on touch-off” smartcard ticketing system in these buses. But it may also apply to other realities such as Internet access in the car or the car being part of the home network. This is being taken further with the desire for access to online or hard-disk-based infotainment systems that are likely to become the norm for today’s vehicles whether as a factory-supplied option or something installed after the fact. One major issue is that the vehicle will be required to move between its primary network which could be your Wi-Fi network in your home or a marina’s Wi-Fi network to an Internet service provided by a mobile-broadband service. 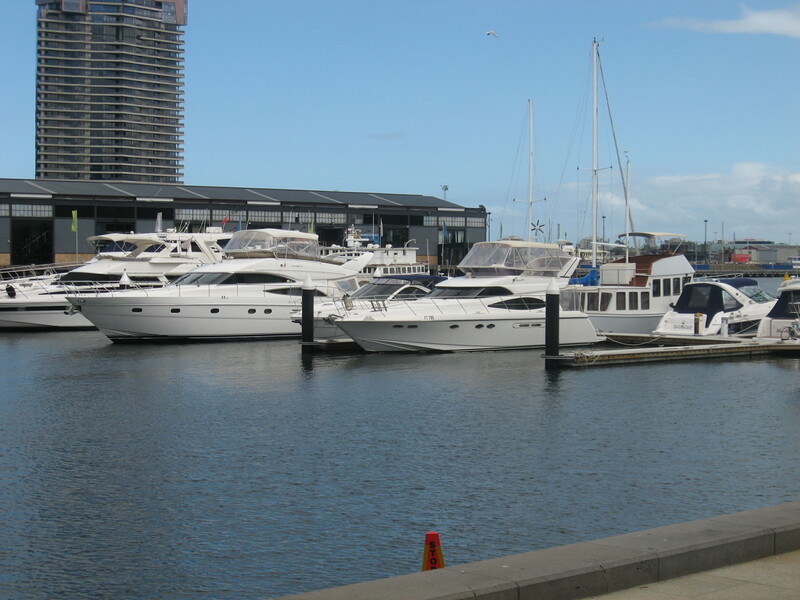 Here, this will require effectively a smooth switchover between these different services in order to provide a smooth Internet connection to network-connected devices such as an online-capable infotainment system and / or a small Wi-Fi network within the vehicle or boat. Another challenge is the power issue. Here, if the vehicle’s or boat’s engine isn’t running, the car battery is supplying the power from a finite resource and there also has to be a sufficient amount of current left in the battery to start the vehicle. But when you are starting the vehicle, there is a significant current dip that occurs while the starter motor is in operation. This is something you may notice where your car’s interior light will dim as you are starting the engine and you have one of the vehicle’s doors open. Once the engine has just started to run, there will be a surge of current which is typically limited by various regulator circuits in all of the vehicle’s equipment. 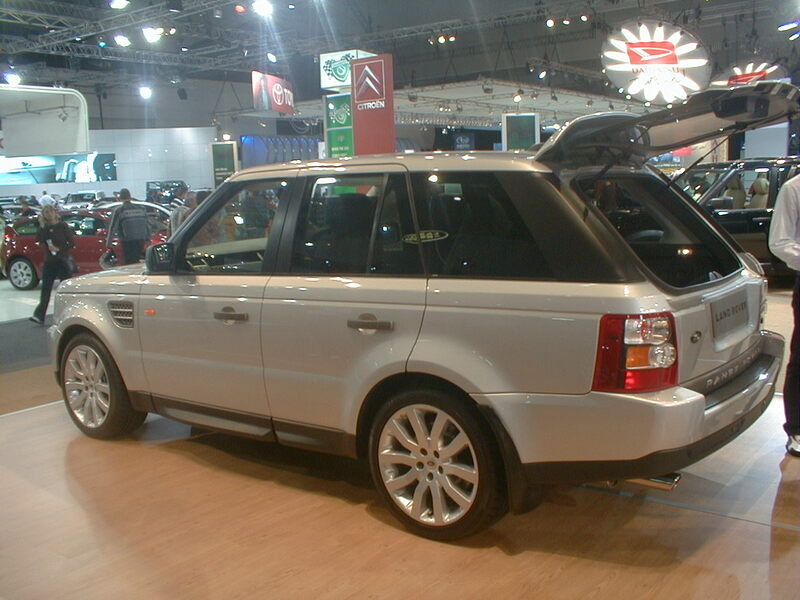 ON Power spike occurs just when the vehicle has been started, but devices run at full power off the engine’s alternator. How was this worked around? The installation was based around a customised Netcomm router that worked between a particular Wi-Fi network at the depot or Telstra’s 3G mobile broadband when on the road. This router was shoehorned to cope with the abovementioned power issue encountered in vehicles and boats most likely with a significant amount of extra circuitry so that it draws the minimum amount of current when the ignition is off but draws its normal amount while the engine is running. This extra circuitry also is about the provision of a regulator to allow it to cope with the current dip / surge that occurs when the bus driver turns the key to start the engine. Vehicle builders like BMW, Chrysler, Ford and GM who have worked on the “online vehicle” have developed in-vehicle network equipment from the ground up when developing prototype or production in-vehicle routers for these projects. Typically these would have a mobile broadband setup as the primary setup and have perhaps a WI-Fi LAN for use with tablets and similar devices as well as a specialised Ethernet setup for the online infotainment setups. 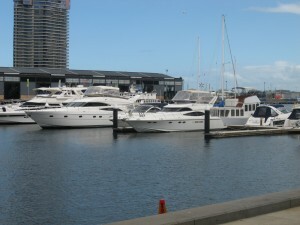 In the context of the online personal vehicle or boat, it will mean that if the vehicle is at home, it can connect to the home network and do an update process for maps, AV content and similar material. Then when you are on the road, you could gain access to Internet-hosted content like traffic information, current “open/shut” status reports of nearby businesses, the location of cheapest fuel prices, and audio content from online services like Spotify or Internet radio. This issue will be faced further as the in-vehicle network becomes as much a must have for vehicle enthusiasts as the souped-up car sound system. It will mean the availability of aftermarket routers that are designed for in-vehicle use along with connection standards for aftermarket infotainment setups that work online whether with a smartphone or their own network / Internet access. A typical situation that may make you think that the router at the “edge” of your home network is dead is simply no connection to network or Internet resources. 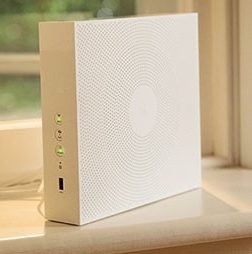 The same can also hold true for network connectivity devices like wireless access points, range extenders or HomePlug powerline devices. It is infact the first point of elimination by some people when they are dealing with an Internet connection that has started to play up. In some cases, you may be dealing with the wall-wart power supply that may have just died out, usually due to a power spike. You may be able to check this out if you have either a multimeter or a spare working power supply with the same voltage and current output that belonged to other equipment to compare with. On the other hand, erratic Internet or network activity like Wi-Fi clients taking longer than usual to associate with the router’s access point or Internet activity becoming “off again, on again” can indicate equipment that is on the way out. Similarly, the indicator lights on the device could he glowing in a static manner or flashing regularly rather than flickering. As well, you may have had to reset the router too many times either through power-cycling it or pressing the “reset” button. In the case of network equipment that may serve a particular device, area or network segment, the behaviour may be noticed by network client devices connected to the equipment concerned. For example, you may have had stellar Wi-Fi network performance in an area of your premises served by a Wi-Fi access point but it’s all gone downhill lately even though you could get good performance out of areas served by other Wi-Fi access points in the same premises. Or you may find things going wrong with the HomePlug AV powerline network segment when it work so smoothly before. The increased unreliability with this kind of equipment is very similar to that point in a car’s life when it starts living at the mechanic’s workshop and drills a nice big hole in your wallet because of the increased amount of repair work that is needed. It may crop up more readily with older or poorly-built low-end consumer equipment or in a house or neighbourhood where the mains power supply may be erratic. The erratic power supply can also be brought about due to circuit breakers including earth-leakage circuit breakers (safety switches) frequently tripping or fuses blowing frequently, or simply many whitegoods in operation at the same time. The key issue to notice is that when a piece of network equipment in the network starts to cause the network connection or Internet service to become increasing unreliable, it could be an indicator to think of newer equipment and budget for better quality equipment. This included my reviewing a Sony VAIO Z Series premium ultraportable that was equipped with one of these modules that had an integrated slot-load Blu-Ray player. But what amazes me about this particular VMultra expansion module is that it is effectively acting as a “storage hub” with an SD card reader, DVD burner and a 500Gb hard disk, thus adding at least three extra drive letters or disk icons to your computer. 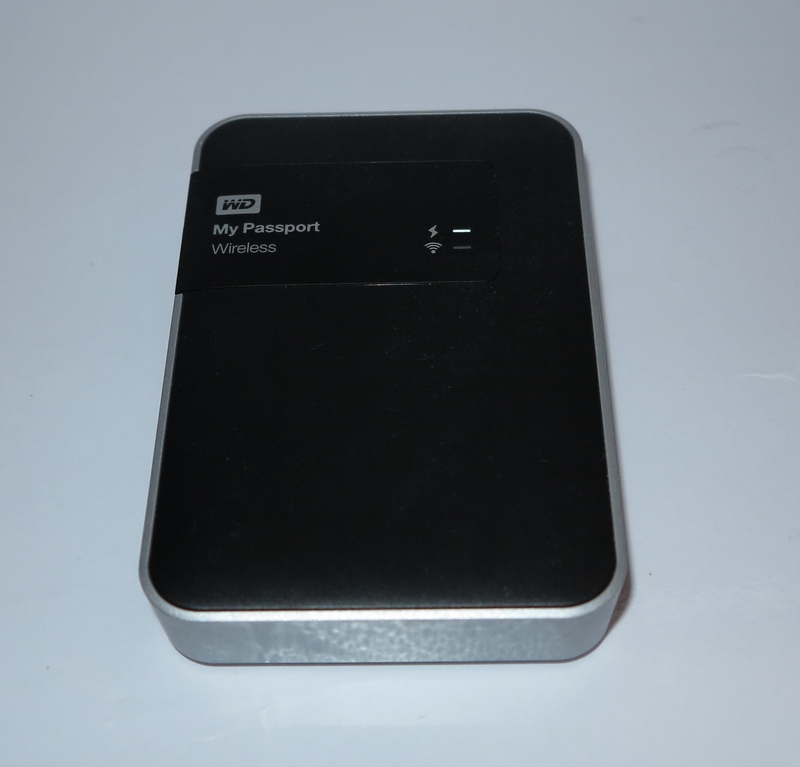 This also is effectively adding on an external hard disk to the computer for use in keeping “main office” work on the desk while you have “portable” work in the computer. Expect this unit to be equipped with a USB 3.0 host interface as well as a multi-port USB hub that most likely continuously self-powered so you can also charge those gadgets off it. This could become the start of the expansion module that is more about a virtual system unit for an ultraportable, being equipped with onboard secondary storage, DisplayLink video functionality, audio functionality and the like to be kept as an “at home” or “at office” option.